Product #6167 | SKU GMP-471 | 0.0 (no ratings yet) Thanks for your rating! Hosa GMP467 3.5mm to 2.5mm Adapter. 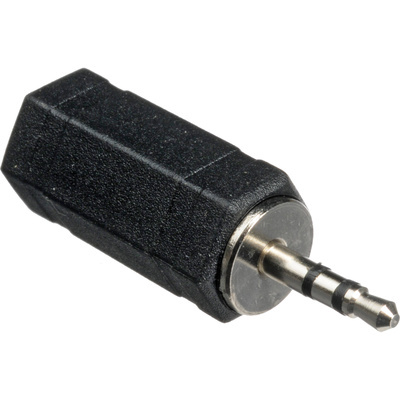 This adaptor is designed to adapt a mini stereo phone plug to a submini stereo phone jack. It is ideal for use as a headphone or headset adaptor. It is also ideal for connecting mini-plug devices into the sub-mini connections on cell phones, consumer cameras and portable recording devices.